A 56-year-old truck driver has been charged after a tractor trailer load spilled on Highway 401 in Chatham-Kent. 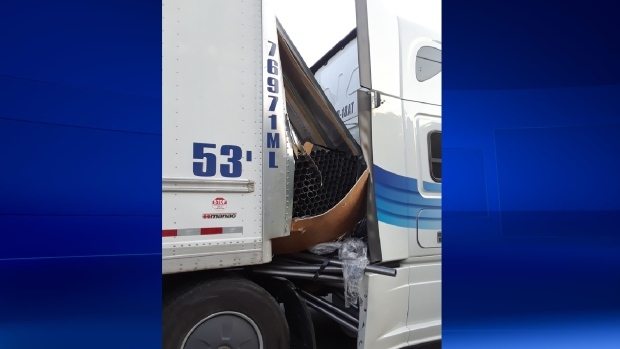 Chatham-Kent OPP responded to a traffic complainant on Highway 401 near Orford Road on Tuesday around 5:45 p.m.
Police say the westbound tractor trailer had its load shift and puncture through the front wall and spill out onto the highway. Peter Yamoah, from Oakville, has been charged with insecure load, commercial motor vehicle, contrary to the Highway Traffic Act.